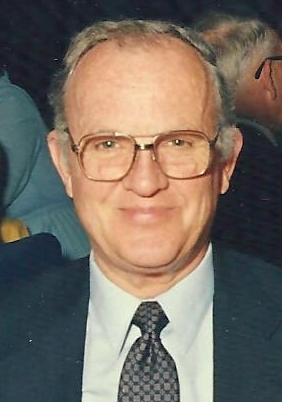 William C. “Bill” Baker, 87, Hays, died Thursday, April 4, 2019 at Via Christi Village. He was born November 29, 1931 in Altus, Oklahoma the son of William Clarence and Hallie Marie (McKenna) Baker. He graduated from Altus High School, earned a bachelor’s degree in chemical engineering from Oklahoma State University, and pursued his master’s degree at Louisiana State University. As a chemical engineer, he was a plant manager and operations manager known for being a problem solver. Bill was a jet fighter pilot in the United States Air Force. He married Betty Ann McCutcheon. He later was united in marriage to Catherine “Cathy” Mick on February 28, 1978 in Baton Rouge, Louisiana. They celebrated 41 years of marriage. He was a scuba diver, an artist painting murals and drawing cartoon sketches, a woodworker, and a member of Sigma Chi. He loved traveling with family and friends, enjoyed trips to a number of foreign countries, was very active in the outdoors, and had a passion for hiking, especially in Sedona, Arizona and at the Grand Canyon at the age of 70. Survivors include his wife Cathy of Hays, three daughters; Amy Palomaki and husband Scott of Traverse City, MI, Cynthia Peters and husband John of Woodstock, GA, and Shelby Baker of Dayton, TX, two stepsons; Greg Mick and wife Diane of Hays and Rev. Dr. Barry Mick and wife Joanne of Kauai, HI, a stepdaughter; Renee Mick of Marfa, TX, a step daughter-in-law; Frieda Mick of Baton Rouge, LA, three granddaughters; Paige, Sydney and Madison, four step grandchildren; Matthew, Ashley, Dusty, and Brett, and a great grandson; Dawson. He was preceded in death by his parents, a stepson; Gary Mick, a brother; Boyd Baker, and two sisters; Dorothy Ford and Donna Carter.